Magadan Oblast (Russian: Магаданская область, Magadanskaya oblast; [məgɐˈdanskəjə ˈobləsʲtʲ]) is a federal subject (an oblast) of Russia. It is geographically located in the Far East region of the country, and is administratively part of the Far Eastern Federal District. Magadan Oblast has a population of 156,996 (2010 Census), making it the least populated oblast and the third-least populated federal subject in Russia. Magadan is the largest city and the capital of Magadan Oblast. It borders Chukotka Autonomous Okrug in the north, Kamchatka Krai in the east, Khabarovsk Krai in the south and the Sakha Republic in the west. The economy is primarily based on mining, particularly gold, silver and other non-ferrous metals. Magadan Oblast was established on December 3, 1953 in what had popularly been known as Kolyma. As a result of considerable raw resources, especially gold, silver, tin, and tungsten deposits, mining activities and road building had been developed during the Stalin era in the 1930s and 1940s under the coordination of Dalstroy and its forced labor camps. Upon Stalin's death, Dalstroy was disbanded and the regional administration took over many of its former responsibilities. From then on, paid labor replaced most of the convict-based manpower, attracted by the region's rapid economic expansion, especially the gold-mining interests. The indigenous peoples of the region, including the Evens, Koryaks, Yupiks, Chukchis, Orochs, Chuvans and Itelmens, who had traditionally lived from fishing along the Sea of Okhotsk coast or from reindeer herding in the River Kolyma valley, suffered from the industrialization of the area but were able to rely on institutional support until 1987 when Perestroika started to cause many of the older structures to close. As a result, many of those who can no longer rely on traditional sources of income are now unemployed. Chukotka Autonomous Okrug was formerly administratively subordinated to Magadan Oblast, but declared its separation in 1991. 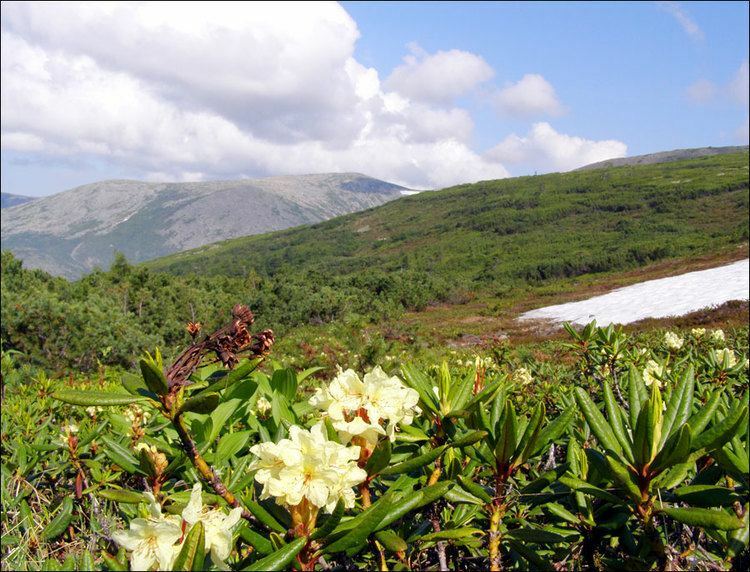 Magadan Oblast consists principally of mountainous desert, tundra, and taiga. 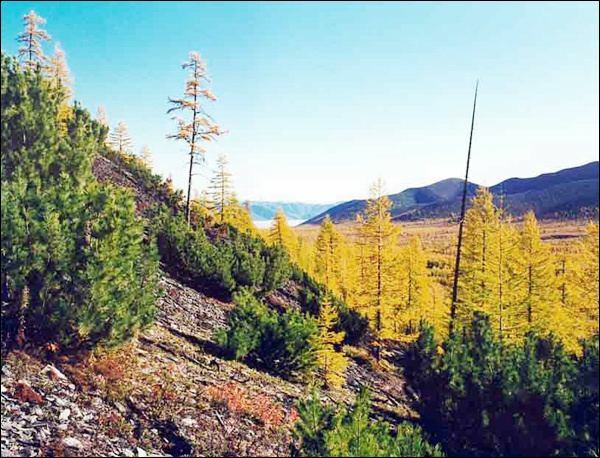 The southern part of the region is partly forested with birch, willow, mountain ash, larch and alder. The animal species in the south include snow sheep, reindeer, moose and brown bears. There are also many varieties of birds, including ducks and seabirds. The Sea of Okhotsk has rich fishing grounds for pollock, herring, cod, flounder and salmon, as well as crabs and shellfish. The economy is centered on mining interests for gold, silver and other non-ferrous metals. The city of Magadan is the only large industrial center. Agriculture is not well developed in the region. On April 2014 the Russian government has endorsed bills for extending the operations of the Special Economic Zone (SEZ) in Magadan Oblast through to December 31, 2025. Magadan Oblast is considered one of the world's richest mining areas. Gold is the region's main resource, although silver and tin deposits are also being developed. There are nearly 2,000 placer gold deposits, 100 gold ore deposits, and 48 silver ore deposits in the territory. Recently, there has been interest in exploiting the coal resources in the region. Over the medium term, there seem to be excellent opportunities for petroleum and natural gas exploitation. The fishing industry is the region's only food sector and is second in importance after mining. The 600,000 square kilometers (230,000 sq mi) area of the Sea of Okhotsk that borders on Magadan Oblast is one of the most productive regions of the world's oceans. Magadan Oblast has more than 15,900 kilometers (9,900 mi) of coastline and 29,016 kilometers (18,030 mi) of rivers of commercial importance. The catching vessels of the oblast's fishing companies operate mainly in Russia's economic zone, the Sea of Okhotsk and the Bering Sea, and to some extent in the Sea of Japan. Most of the catch comes from coastal waters. Fishing industry companies are concentrated in Magadan, Ola, Yamsk, and Evensk. The most important commercial fish are pollock, herring, cod, navaga (a member of the cod family), flounder, and various kinds of salmon. Crabs, squid, shrimp, and whelks are also caught. Owing to the severe climate, agriculture is Magadan Region's least developed economic sector; as a result, 50% of all food products must be supplied from outside. The agricultural complex consists of companies producing agricultural products, the food and processing industries, a production infrastructure, and farm enterprises. The particular areas of specialization are reindeer herding, fur farming, and traditional hunting, fishing, and fur trapping activities. Companies involved in food processing and production include Gormolzavod, a distillery, a pasta factory, a sausage factory, the Dukcha state poultry farm, and the Khasynsky state farm. Despite rich natural resources, the economy has not prospered as much as might have been expected in recent years. The severe climate and poorly developed infrastructure are partly to blame, but the difficult transition from Soviet times has led to the collapse of a number of companies with the result that many inhabitants have left the region. Recently, there do seem to have been renewed efforts to encourage foreign investment which could lead to improvements in the economy. Indeed, on a visit to Magadan in November 2005, President Vladimir Putin supported the extension of special tax advantages for the region in order to encourage gold exploitation. While official unemployment in Magadan Region is around 12%, it is higher in remote areas where a large segment of the population is indigenous (16–18%). The actual unemployment figures must be much higher, because many people who live in remote areas have no opportunity to register as unemployed. In some places unemployment is probably almost 20%, although this is not officially recognized. While reindeer herding is ruined in many places, and fishing quotas are nearly impossible to get, the fraction of indigenous workers in industry and mining is almost invisible. Population: 156,996 (2010 Census); 182,726 (2002 Census); 542,868 (1989 Census). Rural Infant Mortality Rate: 34.8 per 1000 births (2007) (highest in all of Russia). 4,930 people were registered from administrative databases, and could not declare an ethnicity. It is estimated that the proportion of ethnicities in this group is the same as that of the declared group. Magadan is a federal subject that has the highest rate of depopulation in the Russian Federation. Its population, which stood at 384,525 in 1991, stood at 165,820 on January 1, 2008 (according to the State Committee of the Russian Federation on Statistics), falling at a rate of around 2% per year. The rural population, which had stood at 59,151, was just 8,833 in 2008 and decreasing at a rate of around 10% per year. Entire villages are being emptied out and the population of the rural areas of the districts is simply disappearing. The rural population of Yagodninsky District was reduced from 13,843 (1991) to 445 (2007). The Omsukchansky District saw its rural population plummet from 1,301 to 79. Especially extreme is the example of Susumansky District, where the rural population almost disappeared: from 9,764 in 1991 to just 116 in 2007. Emigration is evident from the fact that for the 20-24 age group, there were only 66 females living in rural areas, compared to 202 males. Male life expectancy for rural areas rose to 53.73 years in 2006 from 51.88 in 2005. Although Magadan Oblast is a part of the program of resettlement of ethnic Russian families, not a single such family from the near abroad has so far settled in the Oblast. After 2011 Tōhoku earthquake and tsunami, Vladimir Zhirinovsky, the leader of Russia's LDPR party, has called on Japanese to leave “the dangerous islands” and move to the Magadan Oblast. According to a 2012 survey 29.6% of the population of Magadan Oblast adheres to the Russian Orthodox Church, 3% are unaffiliated generic Christians, 3% is an Orthodox Christian believer without belonging to any church or adheres to other Orthodox churches, 2% of the population adheres to the Slavic native faith (Rodnovery) or to Siberian shamanism, 1% to Islam, 1% to the Old Believers. In addition, 27% of the population declares to be "spiritual but not religious", 13% is atheist, and 20.4% follows other religions or did not give an answer to the question.